YouTube has released its official top 10 videos of last year, in terms of audience engagement, with an ad for the Google Pixel 2 phone beating John Lewis for the top slot. These ad rankings are determined by an algorithm that factors in audience engagement (watch time, likes, shares), video views, and audience retention (how much of a video people watched). 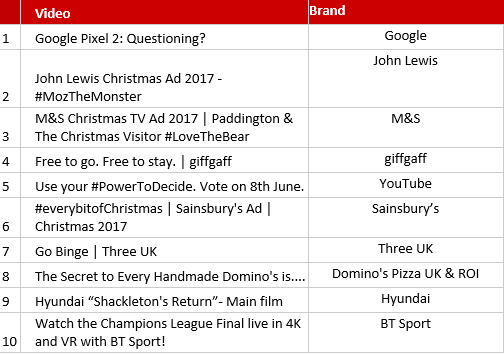 It’s interesting to see John Lewis pushed out of the overall top spot with its Christmas ad by the Google Pixel video. 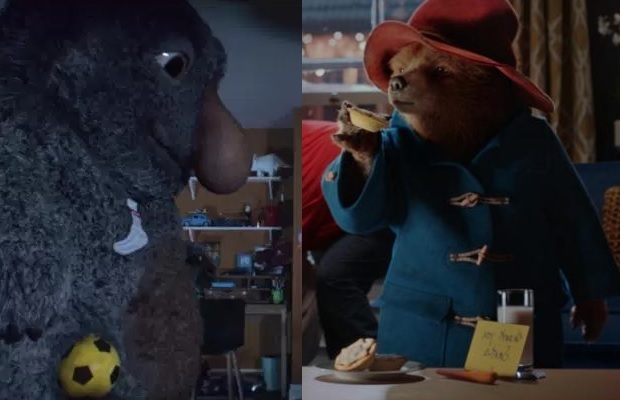 Christmas ads are clearly still big however – with John Lewis and M&S taking second and third with their iconic ads, and Sainsbury’s coming in at #6. With almost a third of the top 10 of the whole year coming in time for Christmas, the craze for Christmas in advertising is still justified by consumer interest. Three UK and giffgaff have also made waves as the two telecoms companies with the top ads of 2017 on YouTube – interestingly, both using water diving to make a splash, followed by a trip to outer space. Meanwhile, the #PowerToDecide ad encouraging youth to vote on the year featured at number five on the year that had the biggest youth turnout in 25 years in the UK. Hyundai’s epic production has also made the cut, as Sir Ernest Shackleton’s great-grandson tackles his unfinished dream of crossing the Antarctica. The top ten ads of 2017 are ranked using an algorithm that that factors in organic and paid views, watch time and audience retention. The full results are below.